It was only one night, but it would remain in his memory forever… like the flicker of candlelight that first drew his attention to the darkest corner of the club. As his eyes adjusted to the dim interior, the bartender’s meaningful head tilt confirmed that She was the one he was supposed to meet. He slid onto the worn leather bench of the booth across from her, folded his hands on the table, and met her gaze. A gloved hand moved imperceptibly to disclose a small, thick envelope. Her accent was difficult to place, her eyes almost indistinguishable in the half light, making the curves of her mouth suddenly the most prominent feature in that single breath of a moment. She blinked once, slowly, registering his face. Rules and boundaries were nearly as inexplicable as the reason they were all caught up in this war. When their eyes met again, everything was understood. War times were not easy on the heart or mind. Separated from everything and everyone they knew, men did what they could to find humor, bolster courage, remember brighter times, and keep the people they loved close to heart — often depicted in the form of “nose art” on their fighter planes. The first recorded piece of nose art on aircraft was a sea monster on an Italian “flying boat” in 1913, followed by grinning “mouths” painted on German airplanes, and selected artwork on a few American airplanes during World War I. During World War II, the artistic trend rose to a new level, with everything from cartoons, slogans, and home towns, to girls, girls, and more girls. Artwork was typically conceived by ground crews (not by the pilots), and painted either by the crews or by civilian artists. No matter what the inspiration, nose art gave war-weary men a smile along with a necessary reminder of saner times — no small feat in the pages of history. 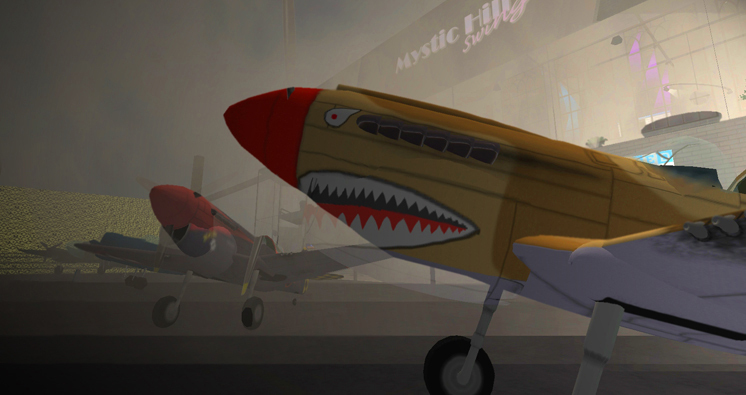 When it comes to aviation history, one gal’s name comes up frequently in Second Life — where virtual aviation boasts quite an active community of aircraft designers, aeronautical sims, and pilots. As stated on her blog, Zoe Connolly is a dedicated aviatrix who feels most at home in the cockpit of her virtual aircraft. Being involved in Second Life has allowed her to live a dream that was not possible for her in the real world, despite countless visits to airshows and conversations with many RL pilots. How did it all come about? 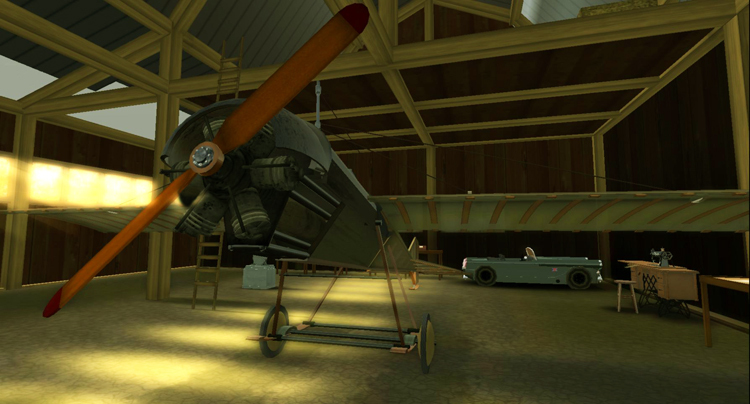 Once Zoe began immersing herself in SL, and discovered that people actually built aircraft here, “my RL dream was about to be lived on a small virtual scale,” says she. 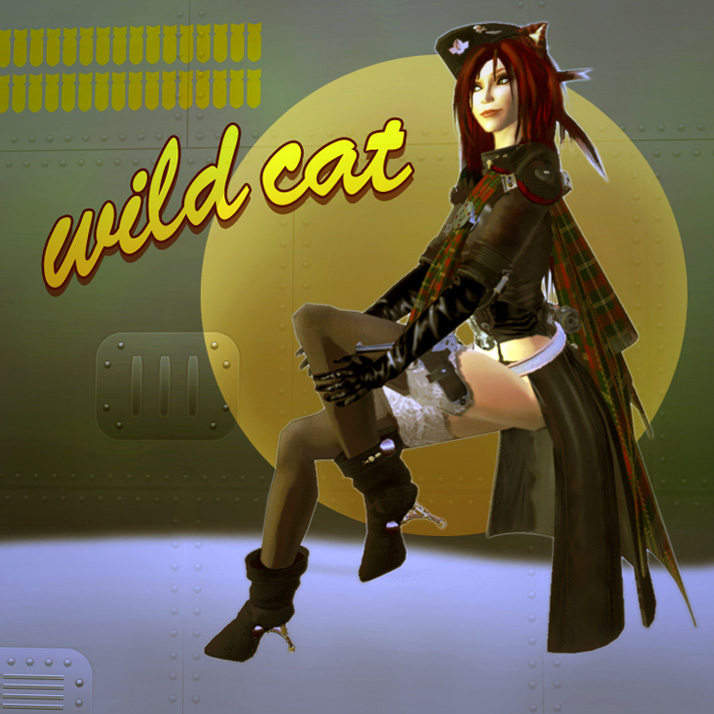 Zoe’s passion soon brought about a fairly significant contribution to Second Life’s aviation industry. 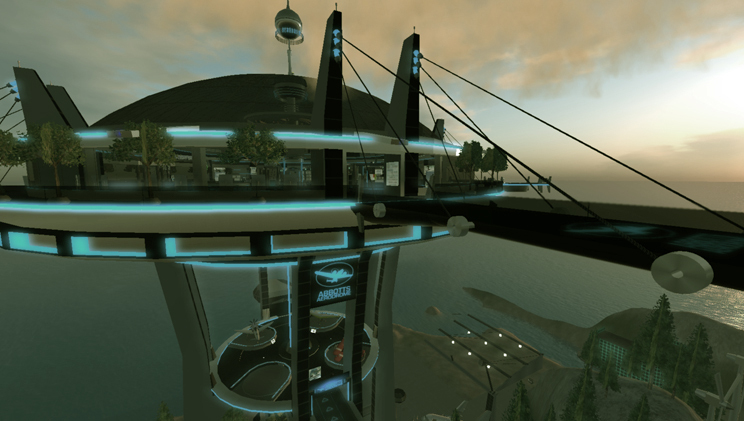 Stories and photographs on her blog began to raise awareness about virtual aviation. Meanwhile, when looking to purchase her first land in Caledon, she noticed that these themed communities had no airship field or runway where one could rez a flying machine or enjoy the company of other pilots. She quickly set out to change that. With the help of fellow visionary Desmond Shang of Caledon, the Royal Caledon Air Force (RCAF) was created to provide a home for a group of dedicated virtual aviation afficionados. Thanks to Zoe’s aviation parcel, known as The Connolly Aerodrome, other pilots now have a place to enjoy their passion, including practice, pleasure, and all sorts of events such as aeronautical combat called “dogfights” over the skies of Caledon. One outfit from an amazing steampunk inspired store called Le Petit Prince was all it took to fulfill my part in the story. This outfit contains no less than 31 items (including multiple layers), all of which are easily mixed and matched for other Neko fashion statements, making it a true bargain in my little black book. | Outfit | LPP / Le Petit Prince: Sexadoll Officer Pack (includes a top; a jacket; two kinds of stockings; black leather pants; two kinds of badges; two kinds of belts (I wore the one with a knife); three shoulder protectors (one with a cape, which I’m wearing in the top photo); a gun with a holster, scripts, and a HUD; leather gloves; a cap; and the coolest boots evaarrr. ~ by Stacia Villota / Virtual Neko on December 4, 2008. *winks* well done, pilot kitteh Stacia! 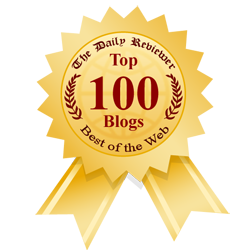 Stacia … your blog is excellent, well done. It’s inspiring to find a way of telling a tale combined with taking picture sets in sl… thank you.